We’ve got gigabit – now what? The Research Triangle Park > The Frontier > We’ve got gigabit – now what? After four years of laying fiber in the area, the RTP is now wired for gigabit internet thanks to a partnership with Frontier Communications. Along with specific locations throughout Durham, the Research Triangle Park is one of only two areas in the Triangle to have the lightning fast connection. And, according to Frontier execs, the vision for our Park Center redevelopment plan is the entire reason they decided to wire us up. The first building to get the internet service is located at 800 Park Offices Drive in the heart of Park Center. 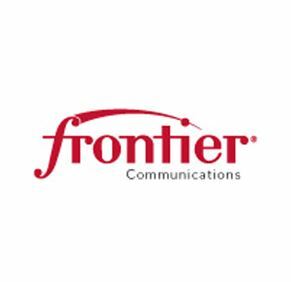 In a move that was purely coincidentally, we actually dubbed the building The Frontier before any partnership with the communications company was finalized. When the talks began all of us on the RTP team joked that it was a good omen. We weren’t wrong! The Frontier building, which our CEO Bob Geolas has publicly said will launch “sometime in January,” is going to be a landing pad for entrepreneurs, students and really anyone that needs a pop in spot. Tenants are already signed on to use specific areas of the mammoth, 145k sq. ft. building – it was originally built for IBM – but the first floor is designed to be open to all. And the best part about it? Anyone popping in will have access to this super high-speed internet provided by our partnership with Frontier Communications. As will any companies that decide to move in, or build, on the 100 acre Park Center site. In fact, it’s already there and ready for you to use. If you’re planning to come to our Happy Hour this week or the Food Truck Rodeo you can just hop online and test it out. It’s just one more service we’re delighted to be able to bring to you.